You may have made it to Mountain Goat, stocked up at Slowbeer or tried out the tropical vibe at Moon Dog, but is the rest of Richmond and Abbotsford a bit of a mystery to you when it comes to tracking down good beer? In the second of our Crafty Crawls (you can read the first on Melbourne's 86 tram route here) Richmond local Kerry McBride takes you on a tour of the suburbs that are home to the Richmond Tigers, Little Audrey the Skipping Girl, and more good beer spots than you’ll know what to do with. Once a retail mecca, Richmond has gone through a significant change in fortunes in recent years. The city fringe suburb may no longer play host to quite as many shoppers, but a thriving dining scene has risen up to take its place. Both Bridge Road and Swan Street boast dozens of restaurants, while Victoria Street on the fringe of Richmond and Abbotsford is home to some of the best Vietnamese joints in Melbourne. The two suburbs are ripe for exploring, as more dining options mean more spots for a cheeky pint, but where to head for a decent one? 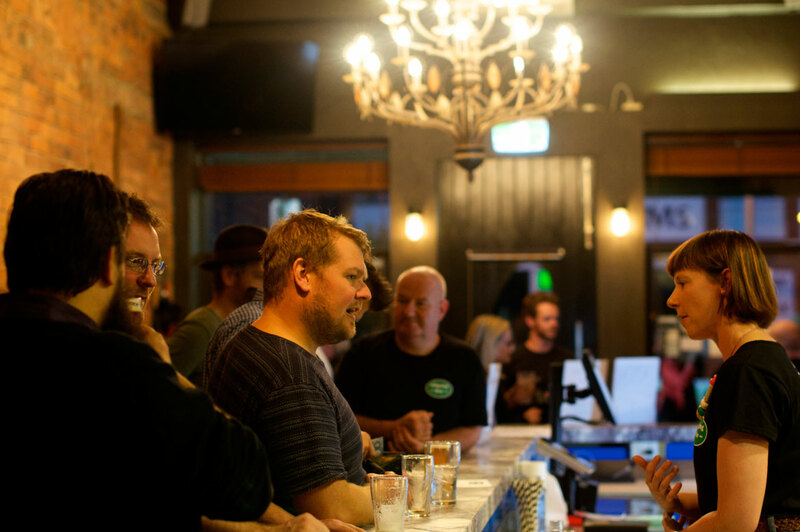 The Cherry Tree Hotel technically belongs on the Cremorne side of the train tracks, but that won’t stop Richmond locals from making the Cherry Tree their local. What's more, if we're honest, hardly anyone knows where Cremorne is. This street corner pub (fun fact: only two Richmond pubs don’t reside on corners) keeps a well-stocked fridge and many of the 22 taps and hand pump on high rotation, with a mix of both local brews and occasional international craft offerings from across The Ditch. Couple that with their range of wood-fired pizzas and a much renovated ex-brewery hopinator called the Hop O Matic 4000, and you’re in for a damn good start to your wander through the east. Delving deeper into Richmond proper, there’s a little stop that any crafty sort knows is essential. 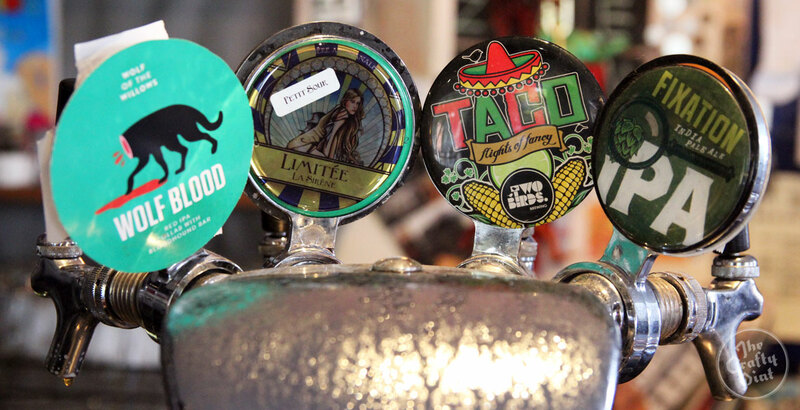 Slowbeer on Bridge Road has been keeping the fridges of beer nerds stocked for years, from when it first opened not far away in Hawthorn in 2009, where it became one of the pioneers of growlers in Australia, and then at its current location from 2012. Cramming around 900 beers from all parts of the world onto its shelves, as well as hosting regular tastings, Slowbeer is the perfect place to pick up a bottle of the latest Mikkeller, Jester King or 8 Wired release as well as you favourite local brews – or fit in a beer and a cheese platter before heading on to your next destination. Did we mention that you might be best to undertake this Crafty Crawl on a Wednesday or a Friday? That way you can fit in a trip to Mountain Goat, nestled away in the back streets of Richmond. 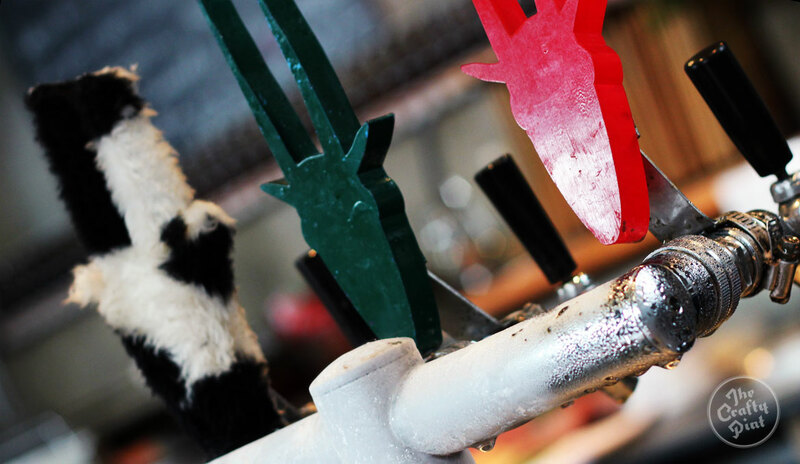 The large warehouse brewery and bar lures beer lovers and tourists alike every Wednesday and Friday night, which is no surprise when it’s the best spot to find Mountain Goat’s seasonal and rare breed releases on tap. 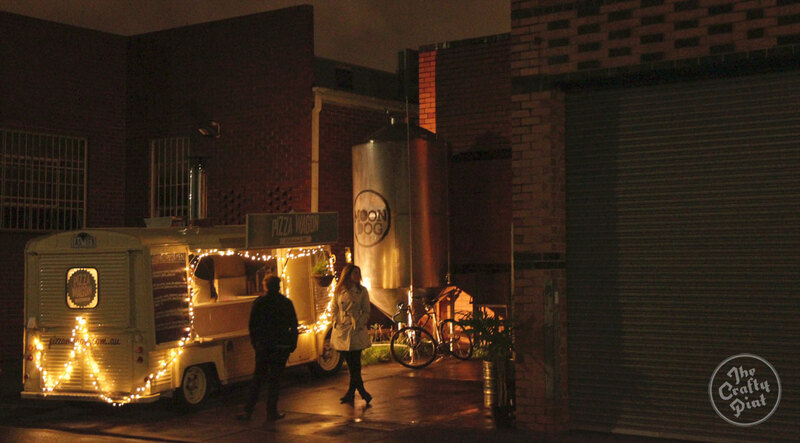 Long a Melbourne icon and still cranking out the Rare Breeds and Barrel Breeds after the change in ownership, it also welcomes food trucks and pop-ups from Melbourne restaurants making regular appearances and offers free brewery tours too. You can also order up slabs of pizza that are best shared among friends. Crafty Cabal Member offer at Mountain Goat (Asahi): Try All Mountain Goat New Releases! The next walk is an easy one. In fact, among friends of Crafty, there's a belief that the real Melbourne Shuffle isn't this, but instead the walk across the road from Mountain Goat in the direction of the red neon sign that hangs above the door of one of Richmond’s hidden gems. The Roy is a favourite among locals – as well as Melbourne brewers – and new owners Ed Harley (who used to manage the place before returning as owner) and Sam Howard have taken a bar that was a solid craft beer venue and added just that little bit more polish, through touches such as women’s bathroom stalls that actually lock. The food menu is classic pub fare done right, and the beer list is nothing short of drool inducing, thanks to a rotating lineup of breweries including the likes of Golden Road, Exit, Feral, and Bridge Road. Take 20 minutes to walk (or five to Uber, if you’re that way inclined) to Moon Dog on Duke Street in Abbotsford and settle in for your last few beers of the evening. 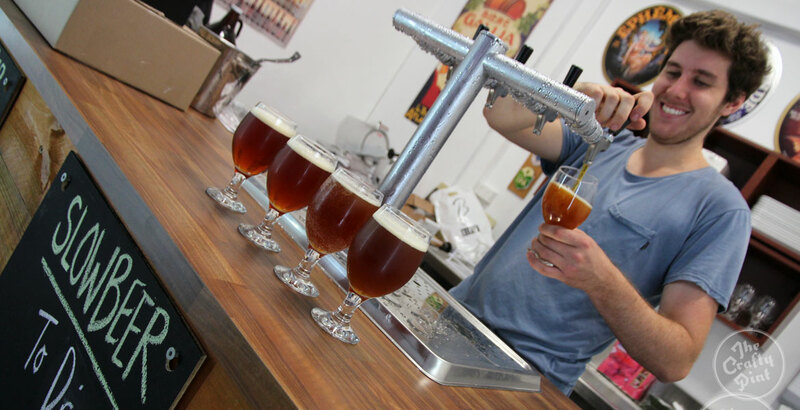 Try their latest experimental single keg release, one of the regular brews such as Love Tap lager or Old Mate pale ale, or see what the latest Perverse Sexual Amalgam is tasting like. Pizza seems to be a theme of the day thus far, but these ones include a beer yeast strain, so order one up and secure a spot under a palm tree on one of the luridly upholstered couches as you work your way through the tap list. Sharing the neighbourhood love, Moon Dog and Mountain Goat have teamed up with CUB for the last few years for the Abbey Collaby at Good Beer Week, and are doing it again during Good Beer Week 2016. Found a new favourite beer on your adventures and want to grab some to go? McCoppins has got you covered. 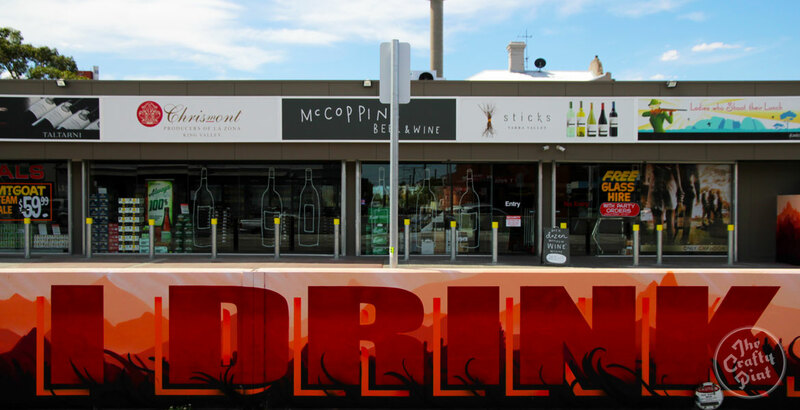 A former drive-thru bottleshop, the revamped store offers one of the best craft beer selections in Melbourne (as does its sister site in Fitzroy), and is staffed by some very knowledgeable folks to boot. The beers stocked range from international imports to stuff brewed just down the road at Moon Dog, and the wine shelves pack a mean punch too. What's more, it's open until midnight – later than most so ideal when you're after a night cap and caught short. A new addition to the Crawl since it was first published, Uitgang Bar is a home from home for the Exit Brewing team, who joined up with fellow beer lover and Richmond dweller David Pike to create a Bridge Road bar celebrating all things local and independent. 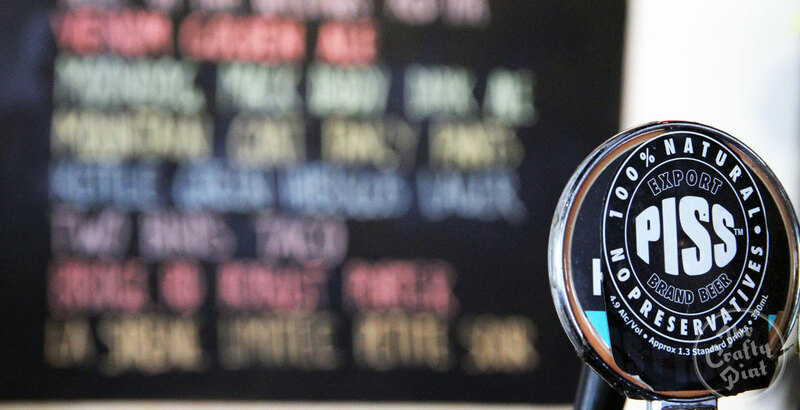 So, while you'll find a few Exit beers on tap at any time, you'll also find a broad array from their mates in the local beer world – plus wines and spirits from small, independent producers too. They host regular fun beer events, often designed to highlight the importance of freshness in hoppy beers, and the bar comes with a handy surprise: head out the back and you'll find a sweet little beer garden that's sure to get busy through the warmer months. 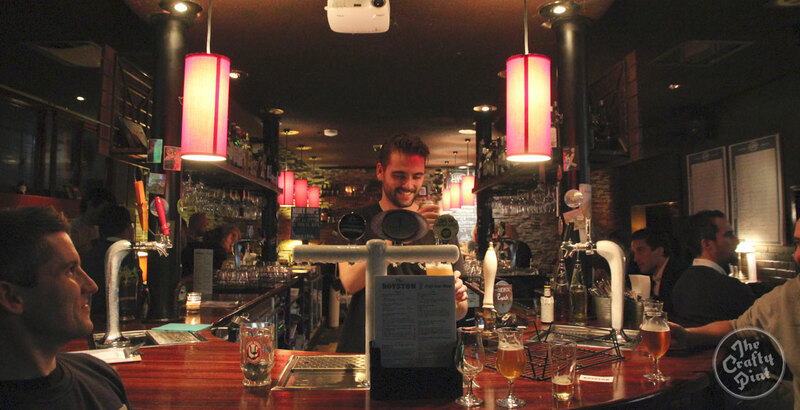 Japan has a beer culture that is rich and diverse (read Nic Sandery of Molly Rose's feature on the scene there here), so it’s lucky there’s a small slice of it available right on Victoria Street. 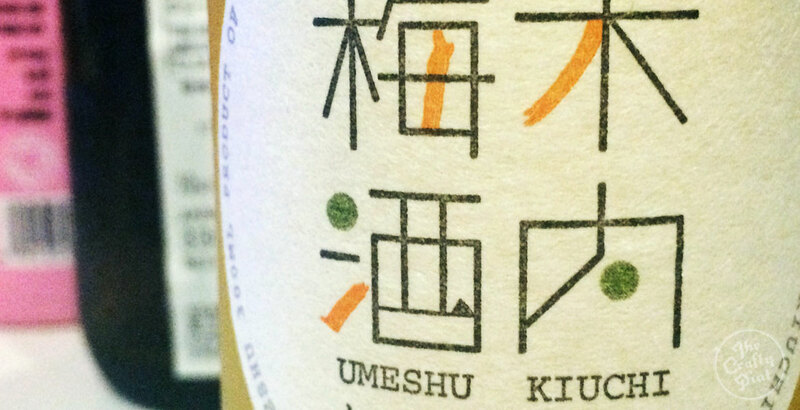 Pairing modern Japanese cuisine with a killer craft beer menu, if you haven’t made it to Shizuku yet then you’ve got work to do. Whether you head for their sharing menu or get straight to a bowl of tan tan men or spicy tonkotsu miso ramen, you will find plenty of brilliant beers to pair it with. Brews range from Japanese offerings such as Baird, Hitachino and Yoho, to locals and American imports from the likes Rogue, Brooklyn, and Founders. It’s Abbotsford’s worst kept secret. Need a few more venues to try? Pay a visit to these ones too.